The ruling Democratic Progressive Party (DPP) members in the so called Chilima Movement have said they are backinb Vice-President Saulos Chilima for presidential run in 2019 Tripartite Elections, saying he has all the hallmarks of a transformational leader that Malawi needs. DPP national director of women and Mulanje West legislator Patricia Kaliati who branded Mutharika as “a clueless leader” and nominated Chilima as a presidential candidate at the convention, said the Movement leaders want Chilima to lead because he has demonstrated passion to get things done for the benefit of Malawians. “He has also demonstrated that he is an accomplished decision maker even under pressure-cooker circumstances. Dr Saulos Klaus Chilima is a proven winner and a humble performer with exceptional temerity for hard work. He has demonstrated diligence and positive work ethic, something which the Mutharika and his panel of close friends furiously lack,” said Kaliati. The Chilima Movement has accused the President that has also demonstrated poor leadership skills and fails to make decisions, touting Chilima as a person who has all the hallmarks of a transformational leader, and will be a breath of fresh air from the indecisiveness of Mutharika. They highlight that Chilima was also born in Malawi; grew up in Malawi; got his education in Malawi and has extensive knowledge of the Malawian private sector having worked there and created employment for many youths for many years. But the Chilima Movement defended their position, saying thry have anything personal against Mutharika; in fact thry regard him as their father. “We only think he is no longer able to provide the kind of leadership that the DPP and Malawi require at this critical time when the country is facing monumental social economic challenges. We respect Prof. Peter Mutharika just like we would respect any other elderly person in the spirit of akuluakulu ndim’dambo mozimila moto. We want him to rest and keep his legacy and will still be our ‘go to man’ on issues that require his insights. We just don’t think he has the energy levels that his office demands,” the Movement said. The Chilima Movement also said the reason for asking Mutharika to step aside is also not only due to his advanced age as they recognize that the elders are a bastion of wisdom, as such their respect for the elderly is beyond question. The Movement said elsewhere people have been fortunate enough to draw from the elaborate wisdom of their elders] statesmen in Malawi it has been an unfortunate case where elders have only used the youths as a trump card to amass political power and wealth for themselves. They pointed out as stated by African philanthropist, Mo Ibrahim that advanced age of leaders is a contributing factor to problems in Africa , they fear the only place that Mutharika’s leadership can take Malawu would be to its grave. Mo Ibrahim is known for the Mo Ibrahim Foundation which awards the world’s largest prize for good governance and leadership to departing African leaders. He founded Celtel International in 1998 (which in Malawi changed to Airtel and once managed by Chilima) and went on to be a trailblazer in establishing communications on the African continent. The company is famous for never having paid a bribe, a story Ibrahim is fond of telling. The DPP senior members that have come in the open to demand that Mutharika must step down and pave the way for Chilima in the May 2019 elections include Kaliati, who is also director of women in the party, DPP Blantyre City East legislator Noel Masangwi, who is also the party’s executive member, national director of youth Louis Ngalande and DPP Mulanje South legislator Bon Kalindo. Other lawmakers include Willet Kalonga, Joseph Chidanti Malunga, Paul Chibingu, Aaron Sangala, Malison Ndau, Pete Kumpalume and DPP director of logistics Dr Ben Chidyaonga. Former first lady Callista Mutharika—widow of DPP founding president and the incumbent President’s elder brother Bingu—sparked the succession debate weeks ago, when she said her in-law, who is 79, should pave the way for the comparatively younger Chilima, 45. Can Akweni Motor mouth really know a potential transformative leader? 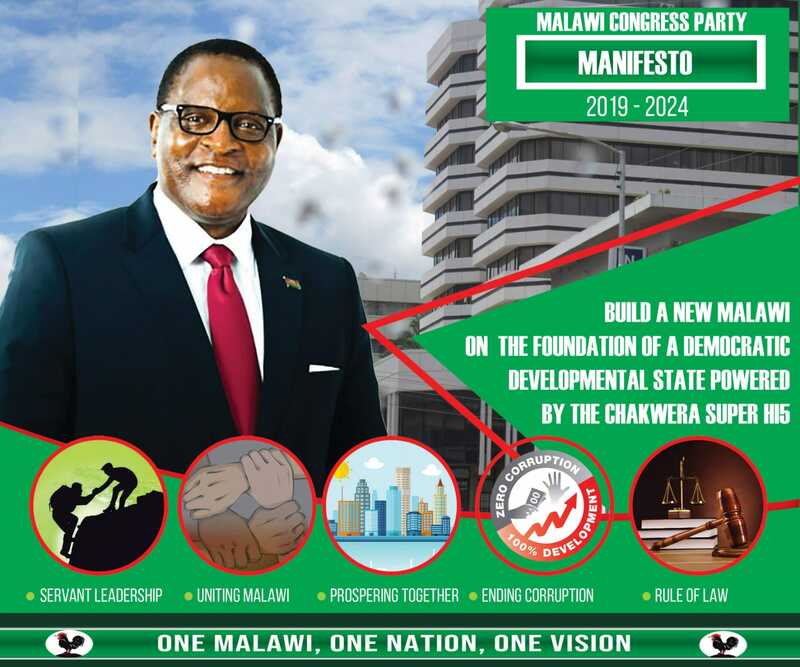 Kaliati, Kalindo, Masangwi, Makonde…….the transformational team behind the transformational SKC??? God help us…..DPP is a rotten party, PERIOD!!! Chilima wagwa nayo and the Catholic church’s interference has made things worse for him. He has shown he is greedy and unappreciative. The other camp i can see it so desperate to win my 0/10 score on My President’s abilities. Olo atamuyipitsa ndi kunena mabodza awo about Chilima but “Dzuwa salozelana” amene ali ndi maso angathe kuwona what Chilima is capable of. simple. no mouthing anybody… ‘zandale izi’.